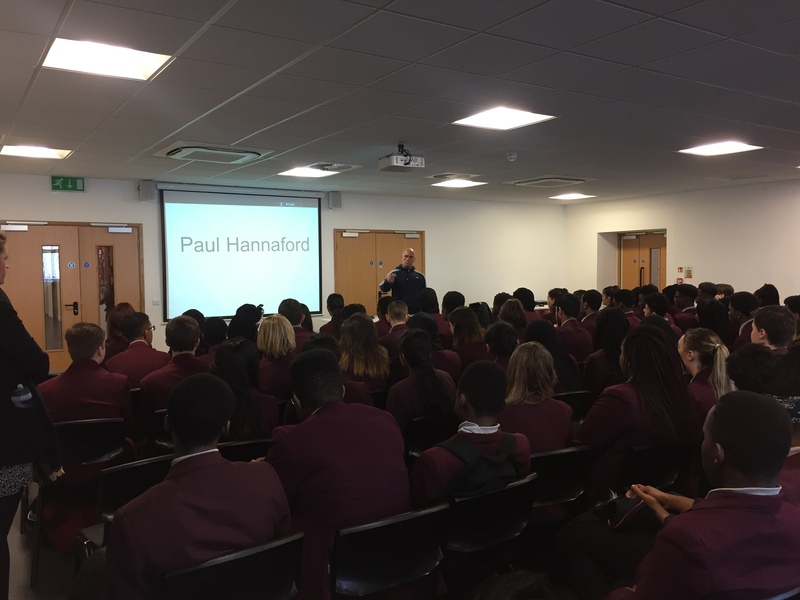 On Thursday 23rd February, we had the pleasure of welcoming Paul Hannaford to school to speak with our Year 10 students. Paul is a rehabilitated drug addict whose life story is both sad, triumphant and informative for young minds. He now dedicates his life to informing young people of the dangers of drugs, alcohol, gangs, knife and gun crime. He has spoken across the United Kingdom, and is currently fielding international offers. Since 2010 he has spoken to well over 300,000 children starting at the young age of just 6 years old. His hope is that they don’t follow in his footsteps or those of his gang, many of whom are deceased or incarcerated. Students were both shocked and saddened by Paul’s story but they went away from his engaging assembly with one clear message: a life involving drugs can and will be self-destructive. I’d like to thank Paul for taking time out of his busy speaking schedule to present to our students. On Thursday 24th November, Riverside School welcomed its latest guest as part of the highly successful Speakers for Schools programme: Stuart Popham. Stuart joined Citigroup in July as Vice Chairman EMEA Banking. Until December 2010, he was the Senior Partner of Clifford Chance LLP, one of the world’s leading law firms where he chaired the firm’s Partnership Council, the supervisory board of the worldwide firm. He joined Clifford Chance in 1976 and was elected to the Partnership in 1984. He held various roles within the firm including leading the Banking and Finance practice areas between 1999 and 2003, becoming the Senior Partner in 2003. Stuart chairs TheCityUK which promotes financial services. Stuart is also a member of the business Advisory Forum of the Saïd Business School, Oxford University and also sits on the Council of The Royal Institute of International Affairs (Chatham House). He is a non-executive director of Legal and General Insurance and is a Patron of the Whitehall Industry Group. Stuart is a member of the CBI and was for a number of years Chair of the London Region and sat on the Chairman’s and other committees. He is an International Envoy for London. Stuart addressed Year 9 and 10 students and spoke of his upbringing, career and hobbies. Students were very impressed by Stuart’s openness to answer any and all questions and his approachable nature after he had finished speaking. He gave the students some excellent advice for their futures, including an emphasis on the fact that things will often go wrong and that failure should be embraced, as well as the importance of seeking a career that excites you. I’d like to thank Stuart for taking time out of his busy schedule to speak to our students. On Friday the 18th November Year 11 Riverside parents and students were invited to take part in a Revision Workshop with our Educational Psychologist Dr Becky Hills from Positive Young Minds. In the session parents and students were given tips and hints about how to cope with examination stress and how best to prepare, they also had an opportunity to ask any questions and to create revision timetables together. The students thoroughly enjoyed the session and felt far more calm and prepared about the challenges the mock examinations will bring this coming December and eventually their final GCSE examinations in May. Tim is a Senior Group Advisor for the Good Governance Group. He was also the Senior Partner of Slaughter and May which is one of the leading international law firms. Tim joined Slaughter and May in 1973 after graduating in Modern History. He started as a trainee and became a partner in 1983. This role included overall responsibility for external relationships and helped lead the development of strategy for its integrated network of independent law firms across the world. His work focus is spread all around the world. As well as his work for the Good Governance Group he is also Group Senior Advisor at G3, senior non-executive director of Big Yellow Group PLC, Senior Advisor to Chatham House, vice-chair of Business for New Europe and many more. Anne is a Professor of Carbo-Hydrate Biochemistry at Imperial College, London. She was brought up in the Australian outback, and taught at home by her mother until the age of 11. She took a Chemistry Degree at the University of Western Australia, and came to the UK to carry out her PhD at the University of Cambridge, before joining Imperial College. Anne specialises in the role sugars play in the body, seeking to answer all kinds of biological questions. She has been recognised and awarded for her services to science by being elected to the Fellowship of the Royal Society in 2002 to being awarded a CBE in 2009. Tim is Professor of Journalism at the University of Kent, and the founding head of the university’s Centre for Journalism. He is best known as a former editor of The Scotsman, he also worked on BBC Radio 4’s Today programme for which he produced, edited and reported from the UK and abroad. He has won two Sony Radio Academy Awards for news broadcasting and has written for a number of publications including the New Statesman, The New Republic, The Times and many more. As well as this he is a frequent contributor to programmes on LBC Radio, Talk sport and BBC Radio. 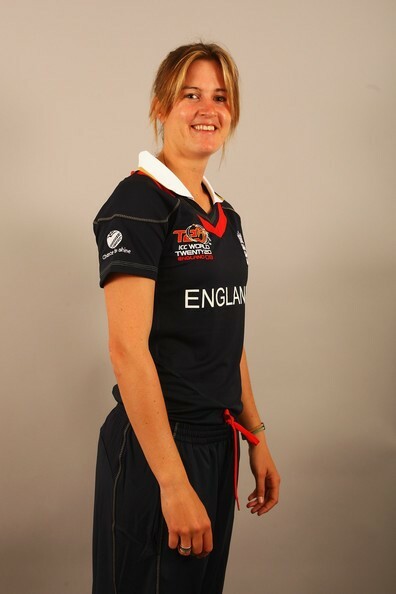 Lydia is an English cricketer. She has appeared for England in seven Tests and 32 ODI’s. She was a member of the team which retained the Ashes on tour in Australia 2008 and won the World Cup and World Twenty/20 Championship on 2009. In addition to this she is one of the best outfielders in the women’s game, and has been named both Player of the Match and Player of the series. For the year of 2010 she was named Woman Cricketer of the year and scored her maiden one day international century; an unbeaten 125 against South Africa at Potchefstroom in October 2011. 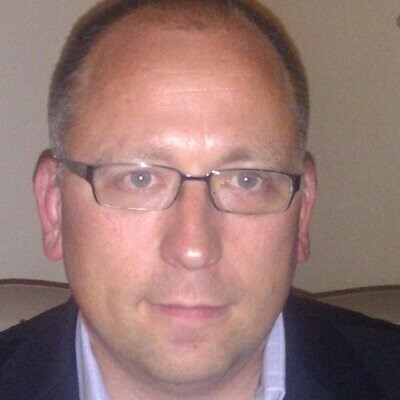 Robert is the director of Talent Acquisition EMEA at Hilton Worldwide. He is responsible for the development and execution of a strategic framework designed to attract and secure the best talent to the organisation both in existing and emerging markets. Robert is also one of the global leads on the cross functional Hilton Worldwide Youth Engagement Strategy. Before joining Hilton Worldwide, Robert spent over 17 years in various senior Recruitment and Resourcing management positions leading multi geography teams for a number of International organisations within the Banking, IT, Telecoms’ and Engineering sectors. 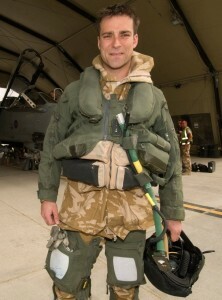 Benjamin is a Royal Air Force Combat Pilot. He worked as military assistant to the UK vice Chief of Defence staff. As well as being a United Nations Military Observer he attended Central Flying School instructor training. Ben has been involved in Close Air Support (CAS), preparation for which is difficult as each event presents its own challenges. His experience and knowledge in the field paid off with the smoothness of Operation Moshtarak where he aided in providing CAS for foot patrols. Elena is General Manager at Global Security Service Enablement and Assurance. She was awarded a BA Business Studies with Finance from London Guildhall University, then joined BT 4 and a half years ago as part of their Fast Track programme. Now she is responsible for the service delivered to over 450 customers around the globe who buy IT security services from BT. 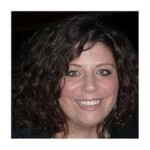 She currently manages 9 direct staff but is also responsible for driving a number of virtual teams across the business. 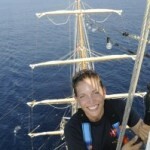 Helen is a Warfare Officer for the Royal Navy. She has been with the Royal Navy for just over 5 years. Her primary role is as a Warfare Officer to navigate warships and defend UK interests across the world. Her current job is as second in command of a River Class Offshore Patrol Vessel, tasked with patrolling UK waters and enforcing EU and UK fisheries law. Helen speaks fluent French and Spanish as part of her job role as she liaises with various officers, coastguards and civilians from across the world. Alongside this, she has also represented the Navy at Alpine skiing competing against the RAF and Army each year. Simon Collins is UK Chairman and Senior Partner of KPMG LLP. He qualified as a chartered accountant in 1986. Simon spoke from an informed position about how the job market is rapidly changing, but also highlighted some unchanged attributes of the desirable employee, such as integrity. He helped young people better understand the positive power, yet potential pitfalls, of the social media networking culture. He explained how companies with few assets and no revenue command the highest value on the stock exchange and how this market can be accessed by all innovative young people with passion and drive. The final student question from Abiola asked: ‘how much do you earn?’ To which Simon answered £2.5 million last year. Emma Wade is the former Head of Crisis Group; FCO. She received an OBE for her outstanding work in leading the UK’s consular crisis response in London to the unprecedented series of crisis around the world. 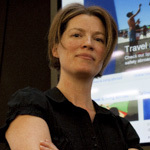 Emma was at the heart of co-ordinating FCO crisis leaders and operations around the world to help British nationals during many crisis’, the Haiti and Chili earthquakes and the Madeira floods to the Iceland Volcanic ash cloud disruption in 2010. 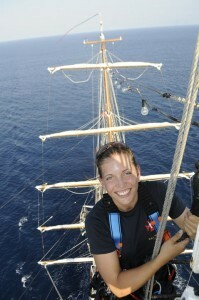 Along with her team Emma worked to evacuate thousands of British nationals from locations around Libya. On top of all of her work she developed and delivered an extensive range of bespoke crisis training and crisis exercises to ensure Embassy staff around the world are prepared to respond to any eventuality. 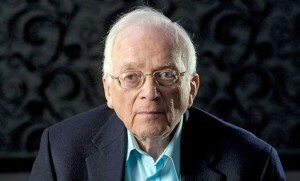 Freddie was born and grew up in 1930s Vienna through the German occupation of Austria and his flight to Belgium. He then fled to Nazi-occupied Paris, before an interrogation by the Gestapo meant he had to move on again. After a brief spell in the Resistance, the war eventually caught up with him and his life in Auschwitz began. Freddie survived over a year in Aushwitz before taking part in the infamous ‘Death March’, and eventually ended up in Belsen until he was liberated at the end of the war.